It’s the same question KK asks me every time I return from my run. I’m so busy sync’ing my Garmin to my Strava that I often reply with, “Great!”. But this time, it was different. My run was fantastic and I could not get the smile off my face. Looking at my watch, I was asking, “What? A PB?” I had just run my fastest time on a regular 4km route from home. I was thrilled! It’s my last month taking blood thinners since my pulmonary embolism scare in December. Six months of rehabilitation and slowly getting back into running. 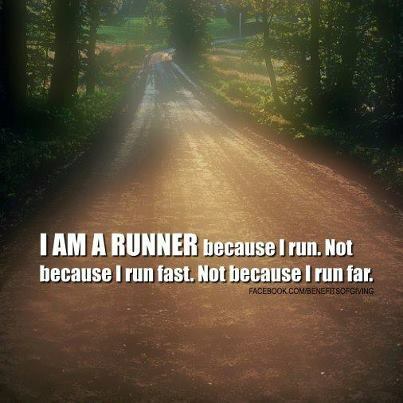 It’s not the only excuse reason I have scaled back on my running. With KK’s femur stress fracture, we’ve both been living life in the slow lane this year. I’ve been training regularly with a personal trainer (and friend) Super Stacey. The focus of my training programme has been on strength exercises, and especially targeting areas such as glutes and hamstrings. Shorter runs. I love heading out for a 4km run before the sun sets in the evening. My route is out, up, down and back in. Mentally, it’s easier to handle after a tough day at work. I keep the longer run for weekends. 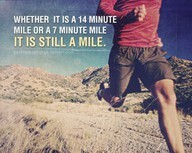 And when I say longer, I mean no more than 7kms. I’m unable to say what has made the difference to my progress specifically, but I’m guessing it’s all of the above. It’s a factor of quality over quantity in my running distances, proper eating, focused strength training all wrapped up in one, and time… in my case, 6 months. You can’t just run. You need to strengthen and fuel your entire body. And sometimes, you need to stop thinking about half marathons and be pleasantly surprised by the joy and relaxation of a simple 4km run. In other news, KK is ready to start running again. Baby steps….